Generating leads is paramount to your contracting business. While this may be stating the obvious, it is critical that your website creates a responsive environment for your contractor marketing goals. Merely having a presence on the web is not good enough in the competitive marketplace. While SEO and keywords certainly help to drive web traffic for your contractor marketing, there are some other elements you should have on your web page for effective outreach. Using a cookie cutter design may be easier to accomplish, but it doesn’t necessarily convert to automatic leads for your business. The page should be customizable to fit your vision and mission. The layout should not be overly complicated. If it is complicated for you, just imagine how a potential customer may feel trying to navigate your page. On the other hand, you should be able to build a page that includes built-in features that will maximize your SEO, especially for localized searches. The goal at some point is to get your page higher up the on the search engine list, preferably the first page. Another important element is that your page should be fully optimized for viewing beyond home computers. With the power of the Internet in the hands of thousands of potential customers, your page should be easily viewable and interactive on all mobile devices and tablets. WordPress is becoming one of the best platforms to use to accomplish this task. Visit our WordPress contractor marketing page here. Facebook and Twitter are powerful tools that you should seriously consider using, and best of all, they are free. Millions of people are using these products and the potential for driving traffic back to your page is high. 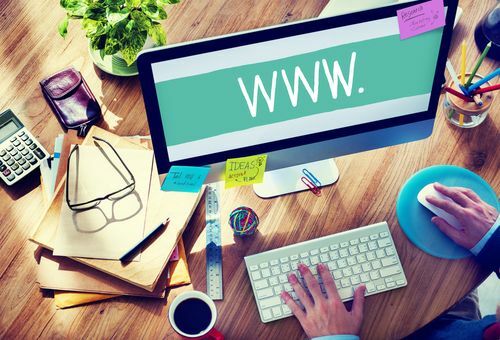 If you are missing these simple elements, your website may not be working for you.